A coated, two ply drumhead composed of two 7mil plies. 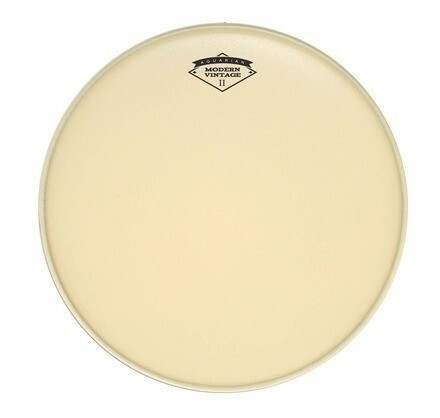 Aquarian’s Vintage Coating and tone with the added durability that a two ply head delivers. Aquarian's Modern Vintage II heads deliver an incredibly fat attack with a medium sustain. The tan-tinted coating is very durable, and helps to create a vintage calf skin-like feel, tone, and look. The perfect heads for jazz, indie, rock, and anything that calls for warmer sounds.